This add-on set features 17 typical US street signs on signposts. These are stand-alone objects that can be placed anywhere in your street scene. Any sign can be added to, replicated or combined with any other module in the series to create your own residential or urban street scene. The texture files included are of medium-high resolution, to allow for close up scenes without too much excess rendering time. In addition, a set of Promo renderings have been provided to show the different parts of this add-on set. These renderings were done in Daz Studio 4.5 with basic lighting and no shadows. 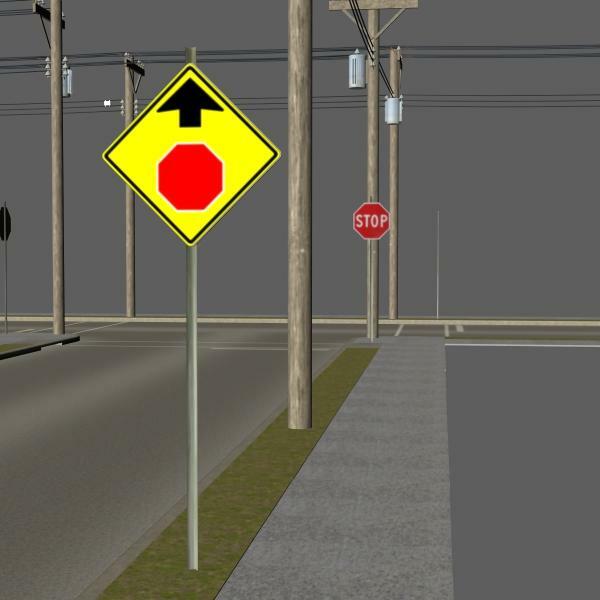 If you would like to see other modules related to the "Street Construction Set," please view my Gallery here on ShareCG. Thanks! TrekkieGal (4 years ago) Inappropriate? AnIronButterfly (4 years ago) Inappropriate? Awesome--I needed some street signs--epsecially "Dead End" for an art project I'm trying to finish! RSchafe (6 years ago) Inappropriate? Very generous - thanks for sharing! Mediasponge (6 years ago) Inappropriate? Thanks for a great set of props! EdgeVerse (6 years ago) Inappropriate? These are some great sets you have made. I have been wanting a good street prop set. This is really becoming a spectacular series of models. Keep up the great work and thanks again for sharing your talent!